After many years mountain biking, I took up road riding in 2012 to commute to a new job, and wanting a new challenge I decided to see if I could use it to improve my fitness and maybe try my hand at racing. 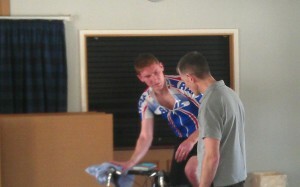 Chris (RAF Cycling Coach and now VerinesVelo.com) gave me a ramp test in Feb 12 and showed that while I had some fitness, there was clearly work to do. Early hilly rides led to me watching my mates disappearing up the hill with no way of keeping up. My fitness improved through the year and I had a few early goes at racing but whilst I was improving and finding it easier to stay in touch, there was clearly something missing. Chris came on board to coach me in Nov 12, devising a training plan to fit around work and family commitments, using my commute and turbo trainer to build in focussed sessions that soon delivered noticeable improvements. After a solid winter’s training we repeated the ramp test and found that I’d improved by 100W at a lower heart rate. With this in mind I went back to racing with renewed focus and faith in my ability. It took two races to escape the chaos of 4th Cat, and I revisited some races I’d struggled in the year before with better results for less effort; more racing improved my race-craft and by focussing on weaknesses through the season and identifying my strengths led to me going into the last few races with the view of being there to win, not just circulate. A 5th and a 2nd in a chaotic crit and a tough road race brought a good haul of points, unfortunately I ran out of races before gaining my 2nd Cat license, but Chris’ training had transformed me from a bloke on a bike to a competitive racer, further underlined by winning my club’s end of season hill climb. Another winter of structured training was devised, and Chris’ planning brought yet more improvements with plenty of variety to stop me getting bored or feeling like a hamster on a wheel – losing the fun side was something Chris was keen to avoid, as he knows how important motivation is to keeping a rider on plan and making improvements. Knowing that Chris’ sessions had led me into the season in better shape than ever, I was able to keep my focus from the end of 2013 and went into every race aiming to win with a target of gaining my 2nd Cat license by the end of the year. Fitness gains meant I finished every early season race in the points, winning a hideously hilly road race and wrapping up a stage race overall and stage win to ensure promotion to 2nd Cat by May! Chris worked around my commitments to other disciplines and the extra training focus also led to MTB XC and TT wins and another hill climb win – a fantastic season made possible by knowing Chris’ training plan would deliver the performance gains I needed. Jon pushing the pace hard. 2015 was always going to be harder to deliver results as a new arrival in the house curtailed my training time, effectively limiting me to extended or high intensity commuting to deliver results. Chris was still able to maintain my fitness levels through the season and although my racing time was also limited I was still able to improve my Time Trial results by focussing the training to deliver improved power output for the times needed for 10 & 25 mile TTs, and even with my lack of time on the bike the season was capped by completing my hat-trick of hill climb wins. 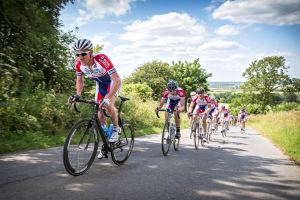 Chris’ work as a coach has transformed my riding and enabled me to ride harder, faster and further than I could have dreamed of when I started riding on the road. 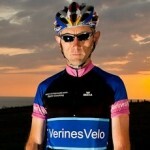 His approach is flexible and by getting to know your strengths, weaknesses, motivations and goals he delivers realistic, achieveable training plans that deliver significant gains; the only thing he doesn’t do is turn the pedals for you – unfortunately you still have to provide the last bit yourself. Previous Previous post: Life Changing Experience – an athlete’s thoughts.